Mark your calendars for the next Breakthrough Breakfast that will be held on Tuesday, February 20th at 9:00 a.m. The Breakfast will be held in Ballroom B located on the 4th floor of the University Center at Southeast Missouri State University (388 Henderson Street, Cape Girardeau). The Breakthrough Breakfast series is an educational series organized by EPIC’s Advocacy Committee and designed to educate service providers and others in the community on a variety of topics that have the potential to impact youth substance abuse. We are excited to have Ginger Meyer, MSW, LCSW, CCTP. Ms.Ginger Meyer is the Clinical Director for Children’s Medical and Mental Health Resource Network a program of SIU School of Medicine. The focus and title of her presentation is Lifespan Consequences of ACEs, Toxic Stress and Trauma. All are welcome to attend, but we ask that you RSVP by no later than Tuesday, February 13th so we can get an accurate head count for breakfast. You may RSVP by replying to this email or calling 573-587-1921. All are also encouraged to stay for EPIC’s regularly scheduled coalition meeting that will take place immediately following the breakfast event. Thank you to the Office of Addictions in the School of Nursing for serving as the sponsor for this event! Ginger Meyer is the Clinical Director for Children’s Medical and Mental Health Resource Network a program of SIU School of Medicine. She has worked with children and child welfare issues for over twenty years. She has been a leader in the Southern Illinois community in developing a Children’s Mental Health Network to increase the professional development opportunities for professionals who work with traumatized children and their families. Ginger Meyer has been the Lead Trainer and Co-Director of the Trauma Based Behavioral Health Fellowship Program at Southern Illinois University School of Social Work since 2014. The program was recently refunded and expanded and Ms. Meyer now serves as the Principle Investigator and Project Director of the Trauma Based Behavioral Health Fellowship; A Behavioral Health and Workforce Education and Training Grant (BHWET) HRSA 2017-2021. This program has trained nearly a hundred advanced social work graduate students in evidence-based trauma treatment, with each cohort receiving several weeks of training with professional community trainers over two semesters. Currently, she oversees the psychosocial assessments and crisis counseling in the Southern Illinois region for children facing child maltreatment, including physical and sexual abuse and exposure to domestic violence. She is also the Project Director of the Garett Lee Smith Suicide Prevention Grant SAMHSA 2016-2019, a program that seeks to increase awareness of suicide prevention on the campus at Southern Illinois University Carbondale. She has a small private practice where she provides trauma interventions to children, youth, young adults, and their families. She is a graduate of SIU with a Master of Social Work and is a Licensed Clinical Social Worker. She is a Certified Clinical Trauma Professional and a member of the International Association of Trauma Professionals. 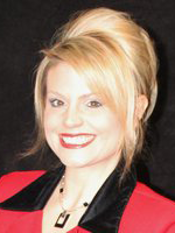 Ms. Meyer is a trained forensic interviewer and is a Nationally Certified TF CBT clinician. She is a member of the Academy on Violence and Abuse (AVA) and the American Professional Society on The Abuse of Children. (APSAC) Ms. Meyer is most proud of her family consisting of a wonderful supportive husband and two young children, who constantly show her love and grace.